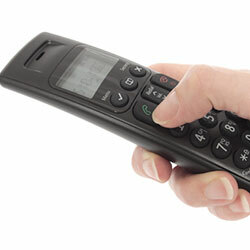 Long gone are the days when you could only get your home phone from one or two providers. Now you can choose from a wide range of companies, and 'phone services can be bought as stand-alone services or as part of bundled deals alongside other services, such as TV, broadband and mobile services. This guide explains what you need to do if you want to switch your landline to a new provider. There are two different types of process for switching a standard 'phone service - 'gaining provider led' and 'cease and re-provide'. You can keep your existing landline telephone number when you switch if you want to. This is known as number 'porting'. If you want to keep your number, let the provider you wish to switch to know. However, you may not be able to keep your existing landline number if you are switching landline provider at the same time as moving home. The first thing you should do is contact the provider you wish to switch to, and explain what you want to do. They should be able to give you details on which process you need to follow. Under a 'gaining provider led process', your new provider will arrange the switch for you. If you want to keep your existing landline number, let the provider you wish to switch to know. However, you may not be able to keep your existing landline number if you are switching landline provider at the same time as moving home. If you're switching to or from a cable network, you will need to contact your new provider to place an order for your new service or services. If you choose to keep your existing 'phone number, your new provider should notify the provider you are leaving that the service is being transferred (although you may not be able to keep your existing landline number if you are switching landline provider at the same time as moving home). If you are switching your landline only and you have asked to keep your existing phone number, you would not normally need to notify the provider you are leaving that you are moving to a new provider (though you may want to check whether the provider you are leaving will charge an early termination fee for leaving your contract). For example, if you're switching to or from the Virgin Media cable network. Note that if you use this process and a new line needs to be installed to your house, you may be liable for the cost of this installation. If you're switching provider for a bundle of landline and broadband services at the same time, you will usually follow one of the processes described above. Where you have asked and are able to keep your existing phone number, you do not need to notify the provider you are leaving that you are moving to a new landline provider. However, you may need to notify them to cancel other services you are also switching as part of a bundle - particularly if the switch involves cancellation of a satellite TV service. Speak to the provider you wish to switch to for advice on the process to follow for services in a bundle. If you are following a Gaining Provider Led process, you should be automatically notified by the provider you are leaving if any early termination charges apply, and an estimate of what the charge will be. If you decide not to proceed with the switch, you can cancel by contacting the new provider.